Best Bass Guitars for Beginners - Andertons Music Co. Here at Andertons Music Co. we understand the importance of learning. That's why we've curated a selection of the best bass guitars for beginners - everything you need to kick start your musical journey! Whether you're looking to learn an instrument, or buy for a friend or loved one, you'll find what you need in our range of entry level bass guitars. 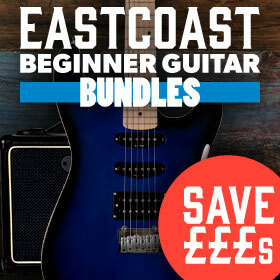 Our beginner instrument selections are designed to cater for everyone. This means affordable, reliable and easy to use instruments that'll make your learning experience that little bit more enjoyable! If you're buying for a child, we offer a great selection of smaller instruments. 3/4 size basses and short-scale basses (this means shorter necks) are easier to get to grips with, making them a popular stepping stone in the instrument learning process. We also offer a great range of bass starter packs, which include a number of accessories like tuners, straps, picks and more. Ibanez SR300E-PW SRBASS 4 string Maple Body Powder White Bundle w/ Amp & Acc.